A highly successful event was held by the UKBCCI and The Federation of Bangladesh Chambers of Commerce and Industry (FBCCI) at the Regents Lake Banqueting in London. 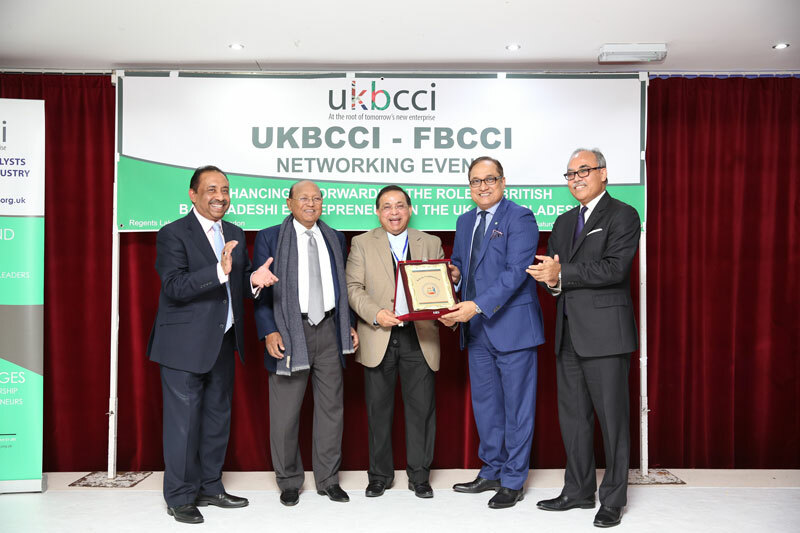 The FBCCI is a key chamber in Bangladesh and to have its President Abdul Matlub as well as many of its delegates proved to be a highly prestigious and informative event outlining many of the things that both UKBCCI and FBCCI can offer its members. Well-attended and proving very popular, the event was also marked by the high-profile of its guests, which included senior directors of UKBCCI and other than FBCCI personnel, chief guest Tofail Ahmed, Honourable Commerce Minister of Bangladesh, special guest HE MD Abdul Hannan, the Bangladesh High Commissioner to the UK, special guest Zunaid Ahmed Palak, Honourable State Minister, Ministry of ICT, Bangladesh, Nahim Razzak, Honourable MP from Bangladesh and also Pasha Khandakar, President Bangladesh Caterers Association (BCA).